Maybe you do this too, look back on something you used to do, sort of astonished, and think Holy-moly, how did I ever have the energy to do all of that? This occasionally occurs to me now, thinking back on how often I used to host a lot of really large parties, and on top of that, on such a grand scale, including a broad selection of many complicated recipes regularly cranked out and served at these varied occasions. Of course, this type of solo effort, which would essentially involve that of about ten people in any catering or restaurant service, eventually and likely exacerbated the scenario of a spinal operation many years ago, requiring the placement of donor bone into the discs of my spine from the base of my brain and halfway down. 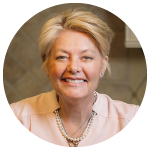 Fortunately, with the gift of an amazing surgeon, I awakened with a whole new lease on life, looking years younger, as energetic as ever, and the rest is history. And, that I don’t regularly host so many gigantic parties, strikingly, now, kind of even preferring entertaining in smaller more intimate gatherings. Well, all except the holidays that is, where it’s always the more the merrier, and really part of the joy in celebrating as community. Still, holiday gatherings with crowds continue to tempt me to some of those special Hors d’ Oeuvres I used to crank out, I’m not sure how, for those gigantic parties, but I still include some simple recipes in the mix too, like Teriyaki Cocktail Meatballs. A hit at the gathering on any Hors d’ Oeuvres table, these tasty bites are easy to prepare in advance and freeze. 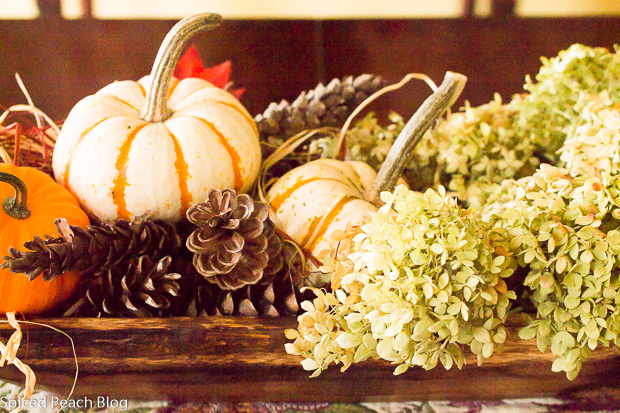 You can serve them in a crock pot, a chafing dish, or hot in a bowl with toothpicks. 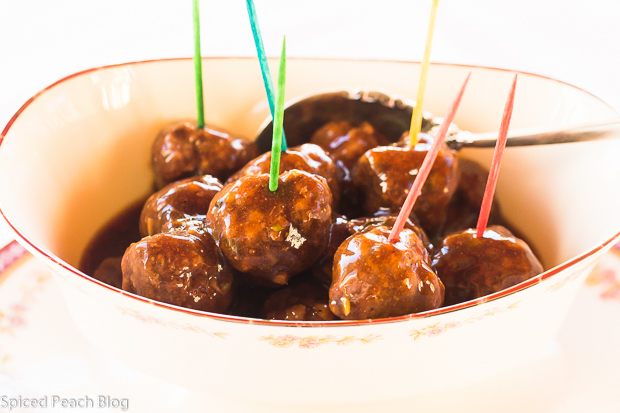 Whatever your style in entertaining a small or large gathering of friends, Teriyaki Cocktail Meatballs will always be a hit. Preheat oven to 350 degrees. Add all meatball ingredients into a bowl, mix thoroughly. 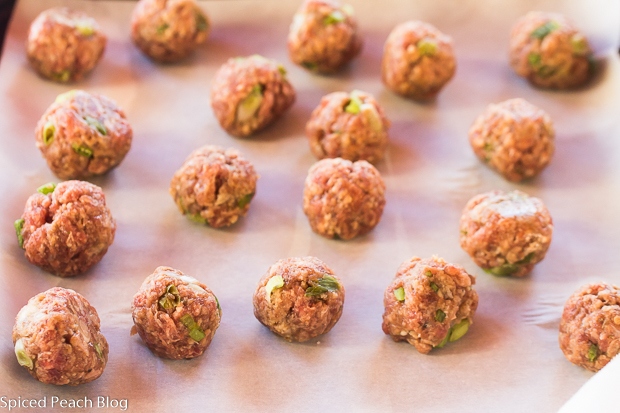 Shape meatballs about an inch around into small cocktail size balls and place onto a parchment lined baking sheet. Bake meatballs around 15-20 minutes until just done. Transfer meatballs into the sauce, serve hot. Teriyaki meatballs in the sauce freezes well, defrosted in refrigerator. May be kept heated and served in a crock pot if desired, alongside plates and toothpicks. Heat all ingredients in a pan on low heat until thickened, stir through the meatballs. This entry was posted in Appetizers and tagged Easy Make-Ahead Teriyaki Metaballs, Make ahead Teriyaki Meatballs, Teriyaki Cocktail Meatballs, Teriyaki Cocktail Meatballs Recipe. Bookmark the permalink. Post a comment or leave a trackback: Trackback URL. Perfect! Just in time for the holidays. Teriyaki is such a popular flavor. Pinning this for later use. 🙂 Have a great day, Peggy! Hi Kelly, these little noshes are so delicious, and I love that they can be prepared in advance, terrific for cocktail parties too! I could easily eat a whole tray of those! Phil recently posted…Did Satan design those Starbucks red cups this year? Thanks Phil, yes, I’ve had folks near do as much with these little meatballs, they are a super make-ahead go to for many gatherings!